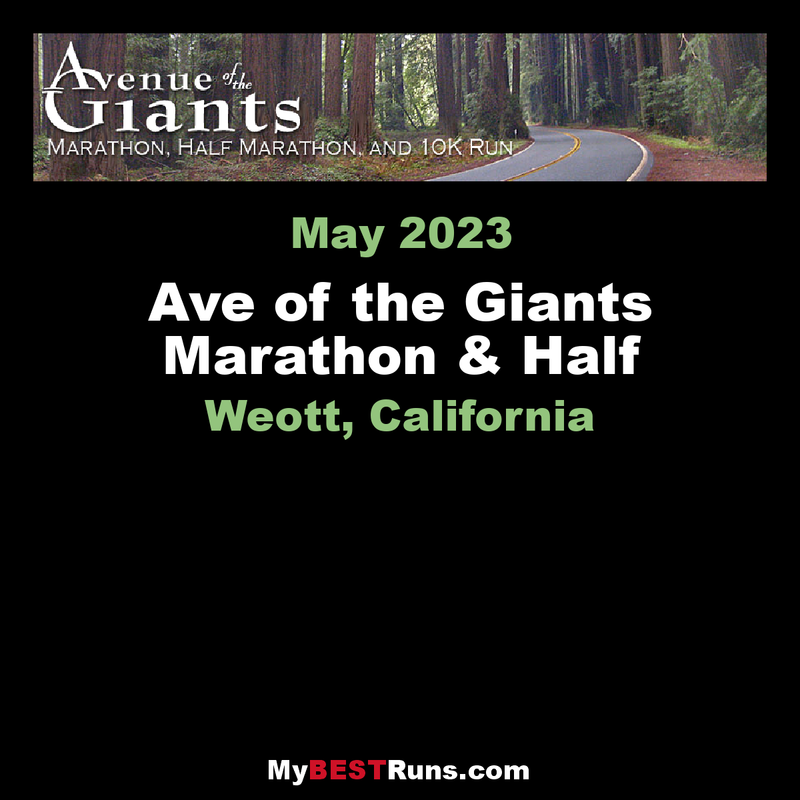 The Ave of the Giants is laid back, a race where families and first timers, along with a cadre of regulars gather on the first Sunday in May to compete and enjoy the fabulous scenery. In 1993 a 10K was added so folks who don't do marathons could enjoy the beauty and majesty of the Redwoods. The course is certified, so those seeking a Boston Qualifier need not worry! The course for the half marathon was changed in 2011. This was done to clear up congestion on the marathon course. It now runs up and down the Avenue of the Giants, the second half of the marathon. Simply put, this is one of the most beautiful marathon course in the world.